And clothing can be too. And what’s better than clothing that makes a statement? Let me introduce everyone to a fashion movement close to my heart: The Feminist Fashion. There are two ends of the reaction spectrum to this growing and ever-important trend: those who are wary, and those who are spiritually and emotionally awakened to the beauty of a period power T-shirt. At this point, maybe you’re wondering what I’m even talking about, and that’s cool. I’m here to show you the wonderful world of empowering clothing. When I say, “feminist fashion,” I mean outfits ranging from the classic “The Future is Female” shirt all the way to the remarkably witty pins, hats and other articles of clothing. It’s because these articles of clothing are pushing the boundaries of what everyone believes “feminism” to be (I promise it’s not a scary word). Instead of making picket signs and spending hours of our precious time marching, screaming and arguing, we now have a platform to shout louder than we ever could: fashion. And through this universal platform, feminists (and everyone who believes in equality) are finally able to proudly wear and show what they believe, without having to say a word. Don’t get me wrong, I am the first one to march and argue and make “punny” equality signs, but it’s also nice to use my body as a walking equality sign! And we are the ones making the culture, forming the future and creating the space for up-and-coming young adults. 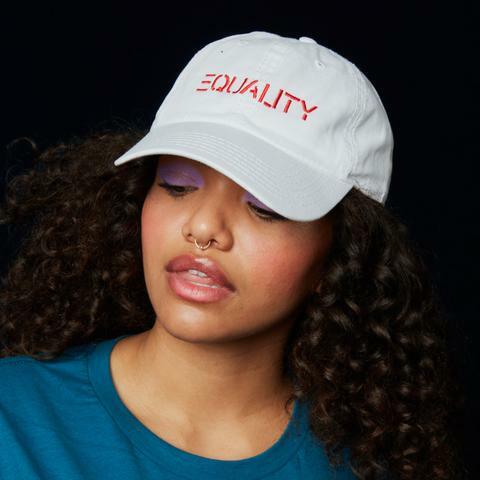 One woman who is making history within “Feminist Fashion” is Whitney Bell, aka “Kidd Bell.” Bell is a writer, activist, artist, social media presence, role model and above all: a powerful feminist I aspire to be like who owns her own website to sell feminist apparel. There are also thousands of sites, including Feminist Apparel, that have clothes for each cause, such as African American Policy Forum and Center for Reproductive Rights. So ditch that boring sweater or “frocket” and pick up fun clothes that actually say something.